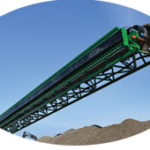 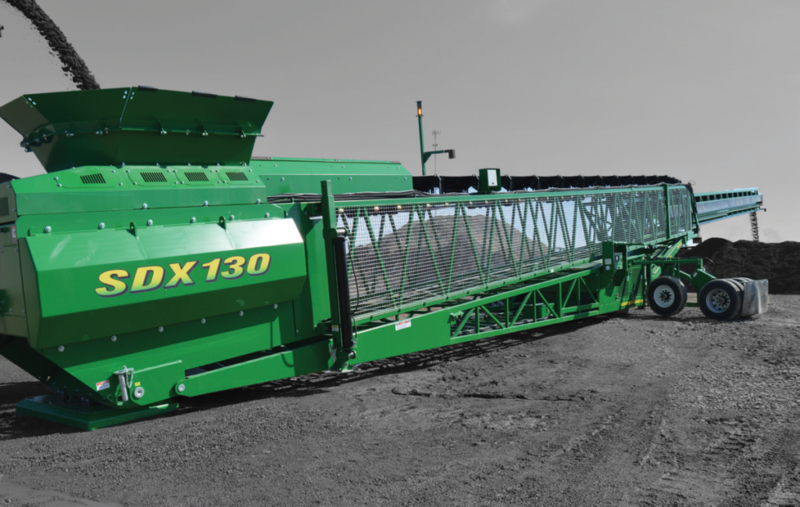 Telescoping Conveyors – Bison Iron Corp. 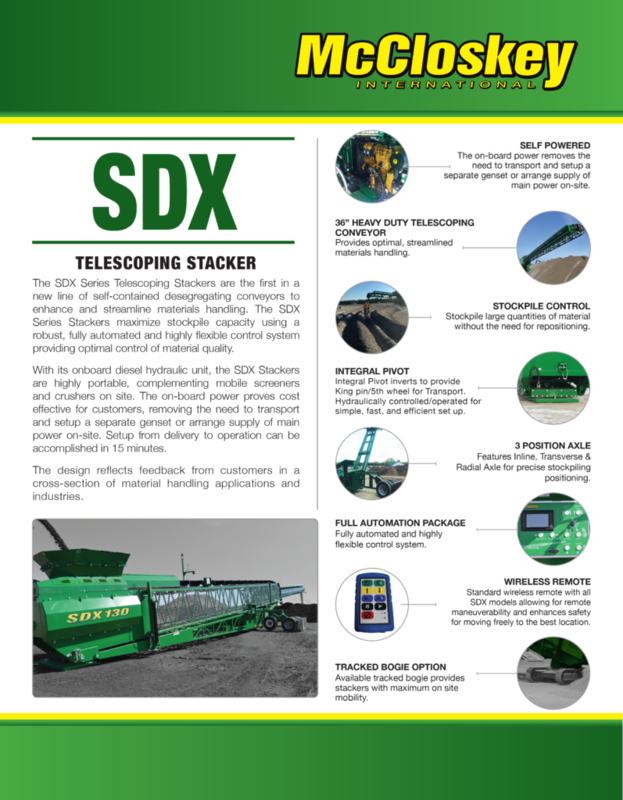 The SDX Series Telescoping Stackers are the first in a new line of self-contained desegregating conveyors to enhance and streamline materials handling. 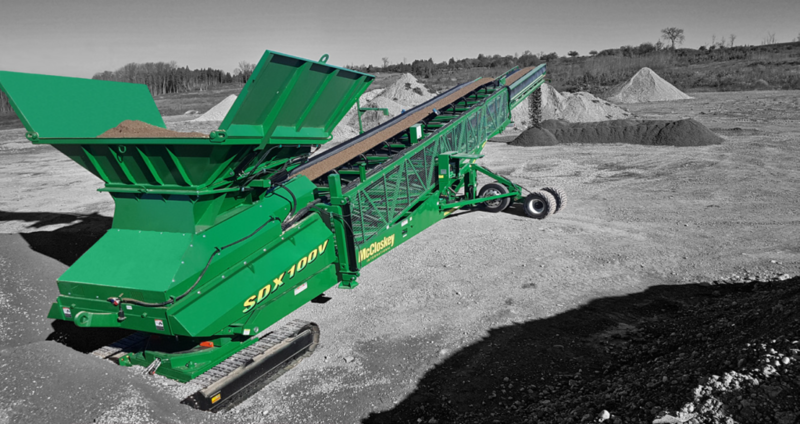 The SDX Series Stackers maximize stockpile capacity using a robust, fully automated and highly flexible control system providing optimal control of material quality. 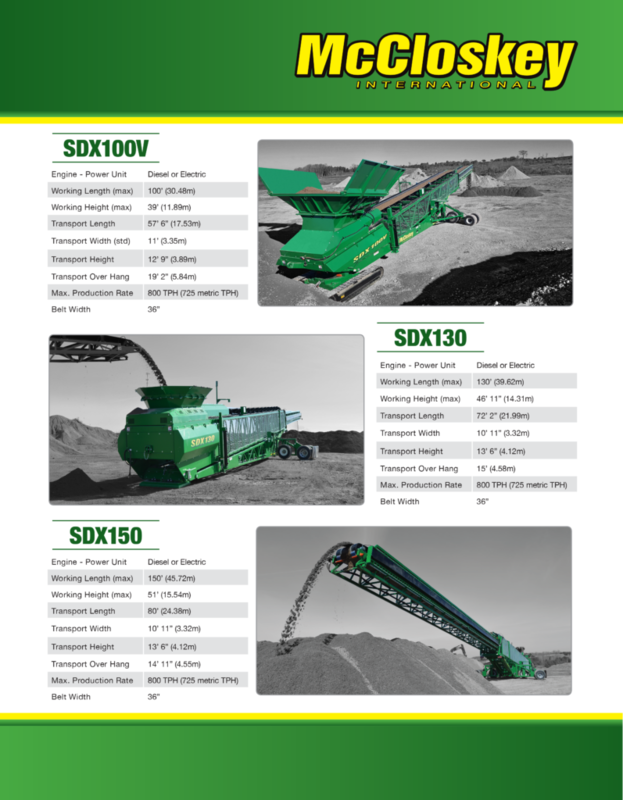 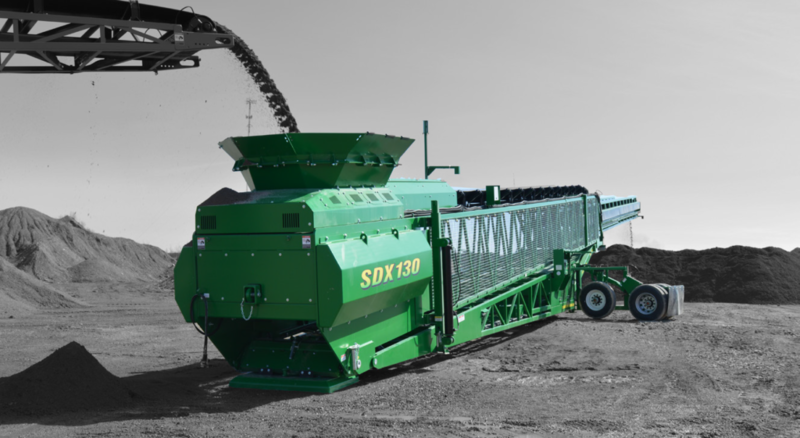 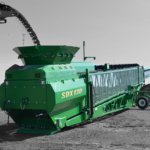 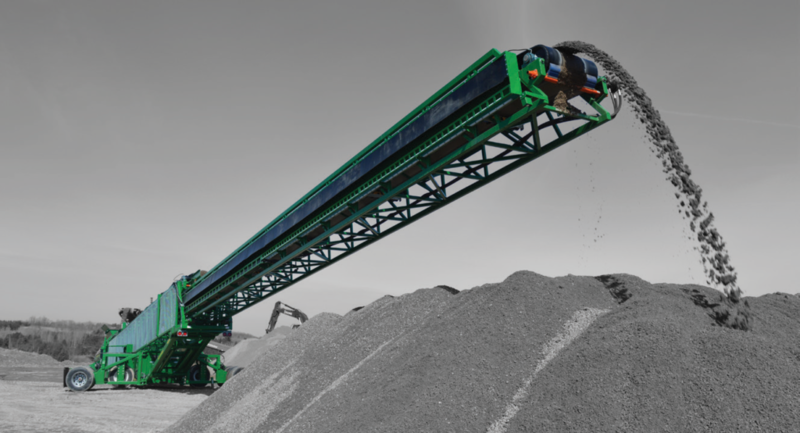 With its onboard diesel hydraulic unit, the SDX Stackers are highly portable, complementing mobile screeners and crushers on site. 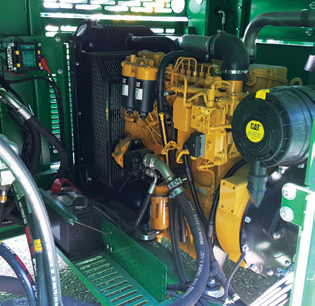 The on-board power proves cost effective for customers, removing the need to transport and setup a separate genset or arrange supply of main power on-site. 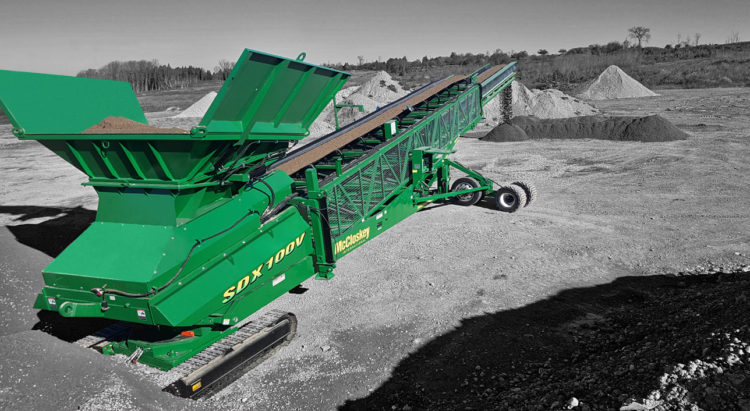 Setup from delivery to operation can be accomplished in 15 minutes. 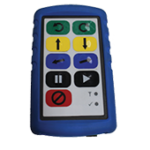 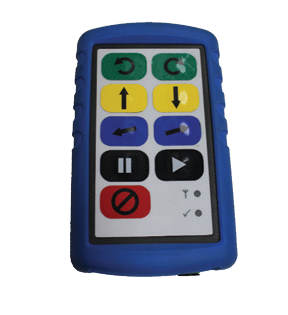 The design reflects feedback from customers in a cross-section of material handling applications and industries. 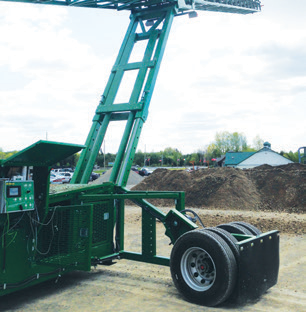 The on-board power removes the need to transport and setup a separate genset or arrange supply of main power on-site. 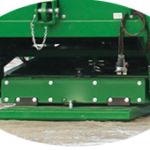 Provides optimal, streamlined materials handling. 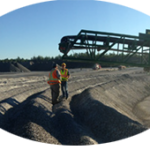 Stockpile large quantities of material without the need for repositioning. 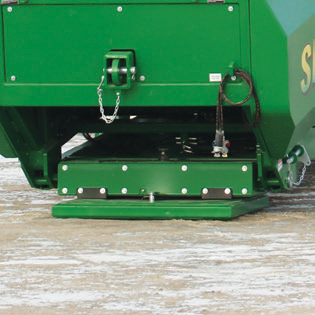 Integral Pivot inverts to provide King pin/5th wheel for Transport. 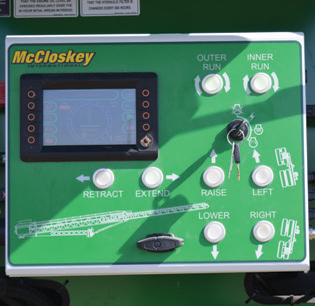 Hydraulically controlled/operated for simple, fast, and efficient set up. 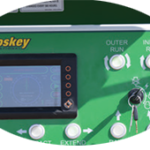 Fully automated and highly flexible control system. 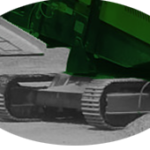 Available tracked bogie provides stackers with maximum on site mobility. 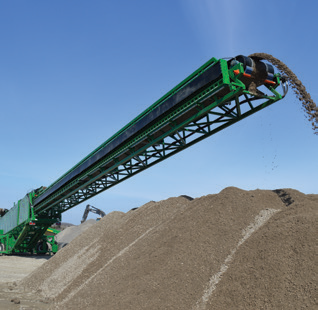 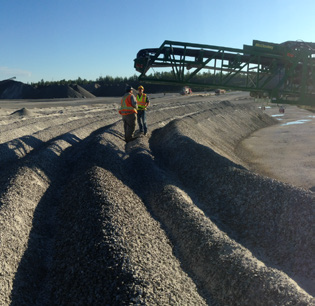 Bison Iron offers mobile crushing, screening and conveying equipment, conveying systems and a full range of recycling equipment for short or long term rental.